One of the true veterans of the indie development space, Jeff Vogel and his development studio, Spiderweb Software, has been plugging away for decades now, creating ultra-low budget, fully-featured RPGs, such as Avernum and Avadon. Related reading: An interview with Vogel on DDNet, from way, way back in 2011! They might not look like Baldur's Gate or Divinity, but Vogel's games have other qualities, such as impeccable fantasy writing and rich worlds and lore to draw on. Spaced over 40, 50 or even more hours of questing, you soon forget the functional (but not unpleasant) aesthetics, because you're so wrapped up in the unique and always interesting universes. Vogel has announced a new title, for a new series - the first for Spiderweb in a while. 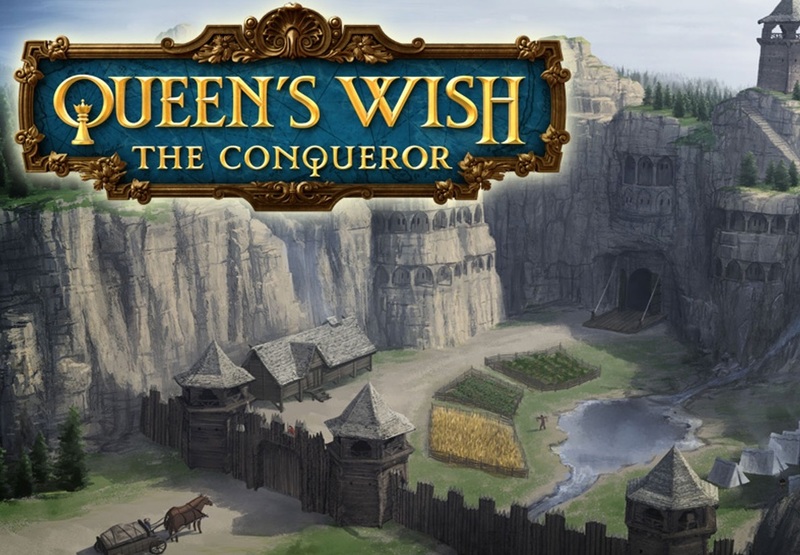 It's called Queen's Wish: The Conqueror, and it features some intriguing features that are a bit beyond the Spiderweb norm, such as towns to upgrade, fortresses to build on your nation's borders, and some other high-level strategy to go in with the party-based adventuring and heroics. We're even being promised diplomatic solutions to conflict... and I do love when RPGs give me the opportunity to talk my way out of problems. The game's being released in autumn - spring for southern hemisphere people. Initially it'll be a PC-only release, but Spiderweb Software has also promised iPad and iPhone ports down the track. So, once again, it might look like a dime-a-dozen retro RPG made on a paper-thin budget, but it's worth noting that Vogel & company is particularly well respected for this kind of game. The Queen's Wish Kickstarter actually earned over three times its asking goal (over $98,000 when it was looking for $30,000), so that should give you an idea of just how many people are still out there that are most willing to dive into these nostalgic wonderlands for their narratives.